Asian demand for luxury goods and products has undoubtedly expanded into a desire to look good, feel good and live a better quality of life. That appetite enabled California Fitness & Yoga Centers to have grown from 1 club in 2007 to 25 clubs in 2016, with over 100,000 members paying an average of $1,000 in membership fees per year. However, realizing that there was still a large segment of memberswho wanted both a higher standard of service along with the exclusivity and luxury which they which they had become accustomed to in other areas of their life, a new, premium membership, known as Centuryon, was created. Depending on the services and benefits, a Centuryon membership starts at $8,000 and goes up to over $24,000 per year. Centuryon first originated as a value add to current members of California Fitness & Yoga Centers. 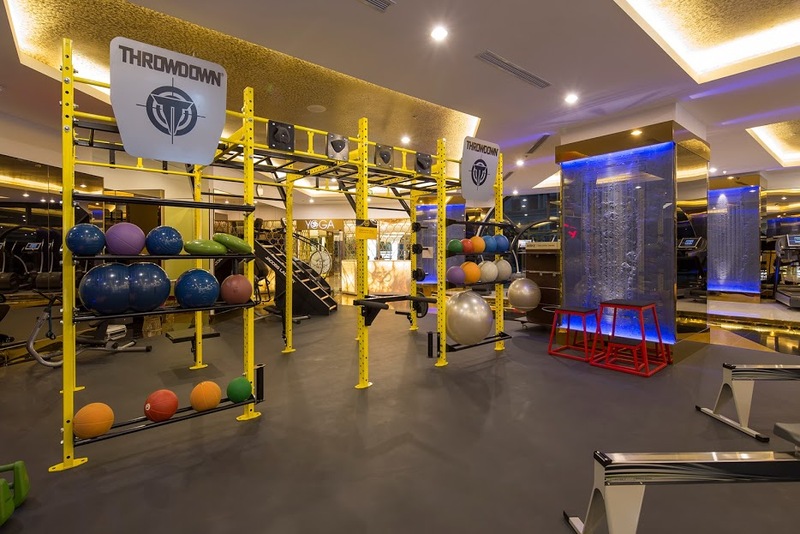 In 2014 Centuryon Royal City in Hanoi, Vietnam became the first flagship Centuryon only club to open in Asia. Here is what it’s like…. A concierge personal trainer is a fitness expert who is assigned to each member and is available by phone 24/7 to members along with 3 to 5 training sessions per week including unlimited In Body fitness assessments and nutrition planning. Dubbed the PTX2 Zone or Personal Training Extreme Experience Zone – these small group personal training programs focus on high intensity and cardio vascular workouts. With multiple classes throughout the day, a Centuryon member can drop by to join a session at a time most convenient. 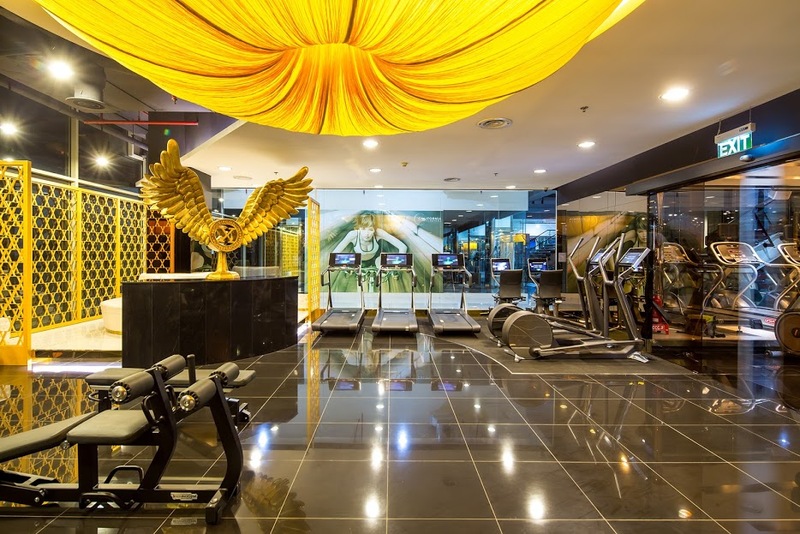 The weights area is stylishly designed and equipped with imported, Italian Technogym machines while all cardio boasts smart, LED touch screens which not only have full internet access but also connect to any wearable device which allows a personal trainer to monitor and track their client’s vitals and performance. 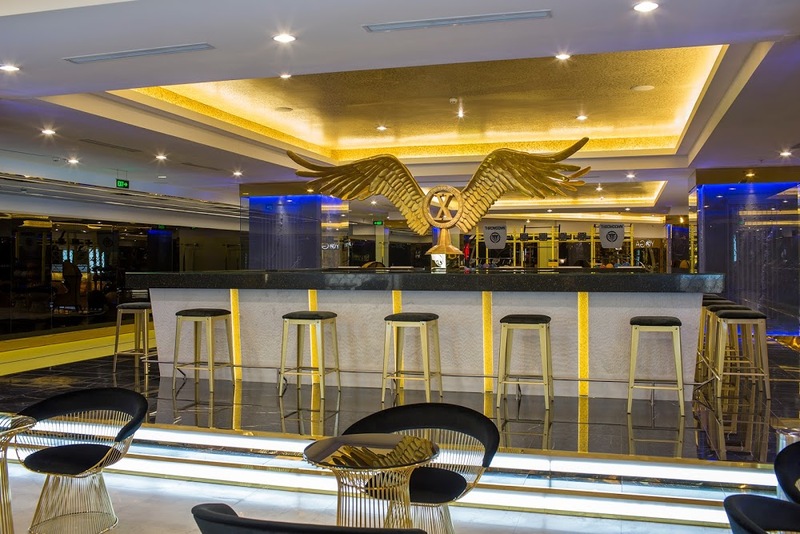 The Excelsior lounge, with it’s trendy design and lighting, provides members with an area to refresh and relax while enjoying drinks and snacks included in their membership. Additional, personalized meal services are also available through partnered vendors. Separated from the rest of the club to create a different, authentic atmosphere, the yoga area offers a unique environment with it’s own lounge for members to relax before or after their classes. Mixed martial arts and individual, 1 on 1 programs such as Kick Fit are additional options available. With both a Gladiator MMA ring and a Ludeus Maximum themed heavy bag section, Centuryon members can punch, kick and fight their way into a higher level of health and endurance. From chandeliers and golden amenities to a separate, fully stocked make up and styling area, every inch of Centuryon, including the bathrooms, has been designed with luxury in mind. Each member receives their own private locker, which is stocked daily with a fresh bathrobe, towel, slippers and water for their every visit. Used for either exercise or relaxation, the Centuryon pool, jacuzzi and dry sauna – with their dimly lit pink and purple color toned lights, is among the most popular features of the club. TẬP ĐOÀN CALIFORNIA MANAGEMENT GROUP MỞ THÊM 6 TRUNG TÂM CALIFORNIA FITNESS & YOGA CENTERS (CFYC) ĐẾN CUỐI NĂM 2015.